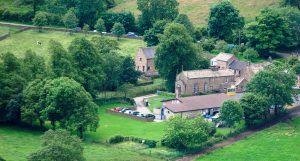 Hollinsclough Church of England Academy supports the educational needs of the children within the Benefice of Longnor (including Quarnford, Flash and Sheen areas which are within the Ecclesiastical Parish of Longnor). The original Hollinsclough St. Agnes Church of England School was founded in 1789. The current building – opened its doors to pupils as Hollinsclough Church of England Primary School on its new site adjacent to the former St Agnes Church in January 1960. 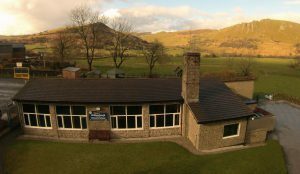 The school became Grant Maintained during the early 1990’s when the then Government of the day offered the opportunity to all schools across the country. With a change in Government in 1997 and their subsequent restructuring of education, the then Hollinsclough Church of England Grant Maintained (or GM) Primary School became Hollinsclough Church of England Voluntary Aided Primary School on the 1st September 1999, following a Governors decision in January 1999 which was followed by the then Secretary of State’s (David Blunkett) approval in March of the same year. Since 2010 and the intervening years our Governors with the full support of parents and pupils attempted to convert to an Academy on a number of occasions and this was finally achieved on 1st September 2015, when the school joined forces with the Bursley Academy in Newcastle-under-Lyme and Manifold Primary in Warslow to form the Bursley Multi-Academy Trust (and recently renamed The Praxis Trust). At the same time, the name of the school changed from Hollinsclough C of E (VA) Primary to that of Hollinsclough C of E Academy. In early 2017 following a review of the management and general structure of the MAT a rebranding process took place and the BMAT was renamed The Praxis Trust.